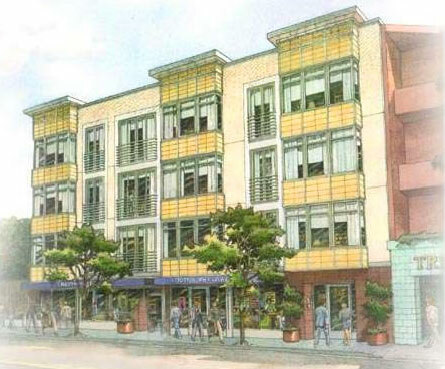 The Bay is a 21-unit condominium development in San Francisco’s vibrant and historic North Beach. The 1-, 2-, and 3-bedroom floor plans features stainless steel kitchen appliances, hardwood floors, stone kitchen counters and marble baths. Each unit also offers deeded parking and storage. Common area amenities at The Bay include a private courtyard and roof deck with a stunning view of the San Francisco Bay.